This months-long "New York Times" bestseller is "irresistible...seductive...with a high concept plot that keeps you riveted from the first page," ("O, The Oprah Magazine"). After four harrowing years on the Western Front, Tom Sherbourne returns to Australia and takes a job as the lighthouse keeper on Janus Rock, nearly half a day's journey from the coast. To this isolated island where the supply boat comes once a season, Tom brings a young, bold, and loving wife, Isabel. Years later, after two miscarriages and one stillbirth, the grieving Isabel hears a baby's cries on the wind. A boat has washed up onshore carrying a dead man and a living baby. 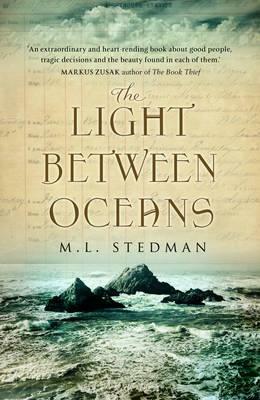 M. L. Stedman's "elegantly rendered and heart-wrenching novel" ("USA TODAY"), is "told with the authoritative simplicity of a fable. Stedman's intricate descriptions of the craggy Australian coastline and her easy mastery of an old-time provincial vernacular are engrossing. As the couple at the lighthouse are drawn into an increasingly tragic set of consequences, these remote, strange lives are rendered immediate and familiar" ("The New Yorker").